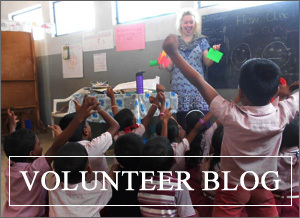 Ingrid Masters volunteered in Kerala from January to March 2013, while she was there she used funding from the VESL Wild Fund and a personal donation to help improve sanitation and hygiene at the school she was volunteering in. Sanitation and hygiene is a really important issue for students in India as they use their right hand to eat, so the provision of clean washing facilities is very important. A healthy physical learning environment is important in promoting health behaviours both at school and at home. Life long positive habits in hygiene can be learnt at school and this project will help to promote hygiene among students at the school. Ingrid worked with the local NGO (VESS) school staff and a local artist to help implement the project. The promotion of the use of soap at the school has been encouraged since the project was installed, through teaching hygiene habits in the classroom and the art surrounding the sanitation facilities. The use of soap is very important in reducing diarrhoeal and respiratory diseases; it is one of the most inexpensive and effective ways of reducing exposure to such diseases*. This is a great example of how our volunteers are able to make a long lasting impact in the host communities they volunteer in, as this project will continue to benefit generations of students to come. 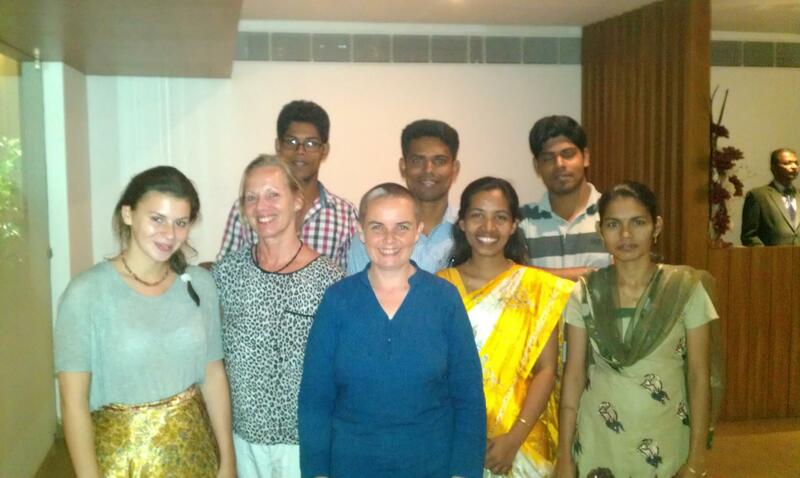 On behalf of the VESL team a huge thank you to Ingrid and everyone involved in the project. Check out Ingrid’s reasons for developing the project and description below. During my time at the school I noticed that the children had very poor toilet and washing facilities. The children ate lunch at the school, often sitting on the floor in classrooms or outside. As everybody eats with their right hand, I asked a senior teacher where the children could wash their hands before eating. I was told that there were no hand washing facilities. 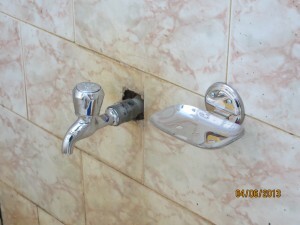 I also noticed that the toilets were very dirty and neglected and again, there were no hand washing facilities. I discussed this situation with the teachers and they said that upgrading facilities for hand washing was a priority for the school but that there were no funds to make these improvements. I also discussed the project with Dr Johnson Jament [VESL Country Manager and VESS Director] who supported the initiative wholeheartedly. 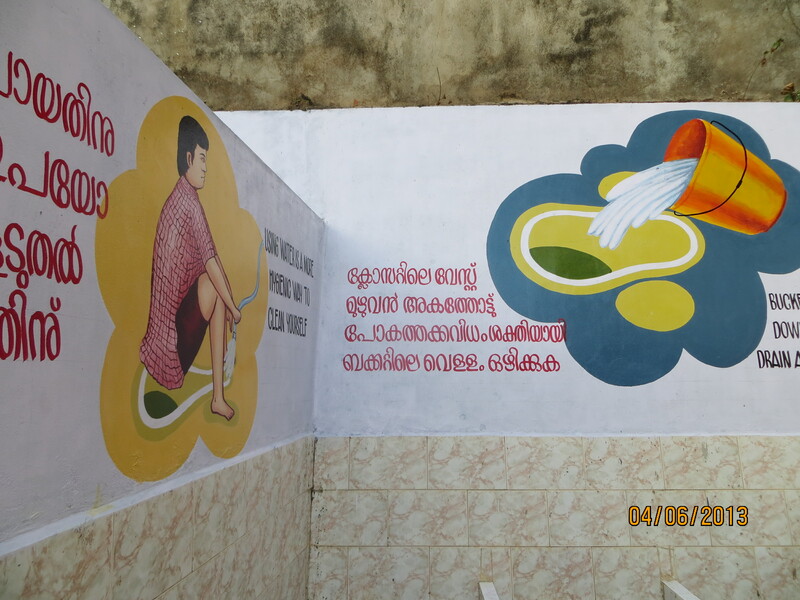 To improve on hygiene is a big drive in Kerala overall and with improved facilities at the school we asked the teachers to make hygiene a priority topic of education during the Summer term and beyond. The toilets were painted and wall paintings about hygiene were drawn on the walls by a local artist (‘dispose of all waste’, wash yourself’ and ‘wash your hands after using the toilet’). Additional taps were installed and soap dishes were fixed onto walls. I also ensured that there was money within the budget to buy soap for at least the summer term.